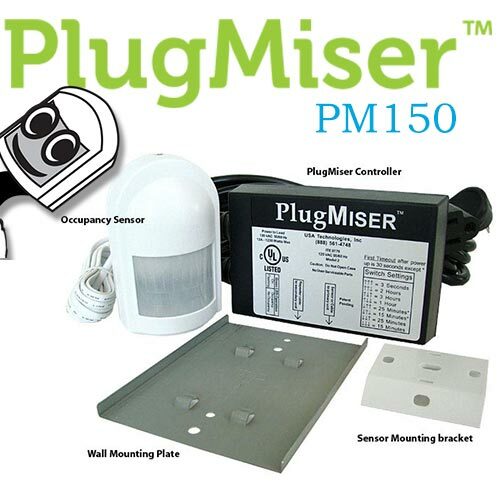 PlugMiser PM150 with Passive Infra-Red (PIR) Occupancy Sensor. Wall-mounted for indoor use. 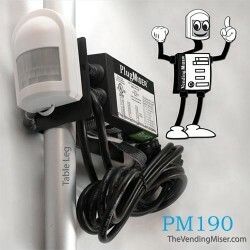 Use on multiple plug loads, up to 1200 Watts (arcade games, computer monitors, copiers, printers, radios, space heaters and task lights, etc). 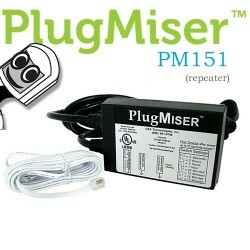 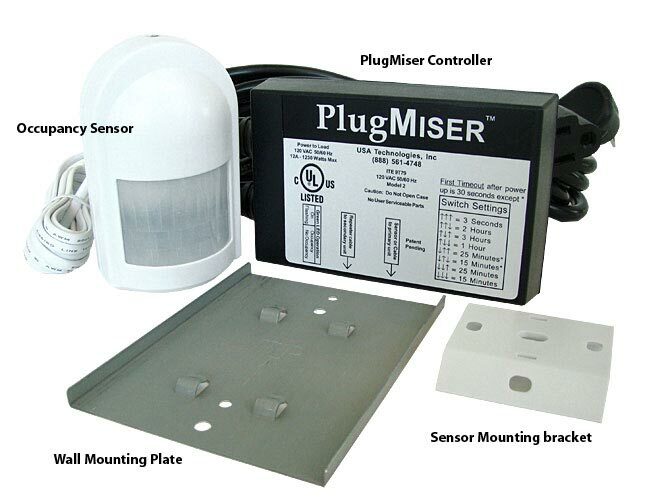 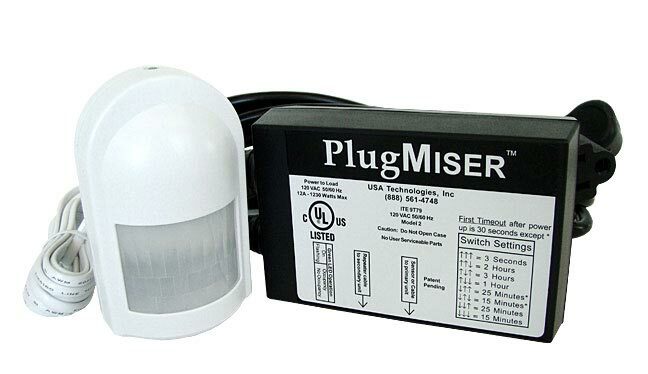 PlugMiser™ PM150 w/Occupancy Sensor – Numerous Applications!